This is a partial preview. Full document is 123 slides. View large preview. Reduce costs and save money with the COQ approach to quality improvement. Learn how to identify, measure and analyze items related to the Cost of Non-Conformance (CONC) and the Cost of Conformance (COC). The COQ system supports your Lean & Six Sigma initiative. As a key factor of competitiveness, you must manage cost all the time, not only in times of economic downturn. Reducing the Cost Of Quality (COQ) program helps achieve this. 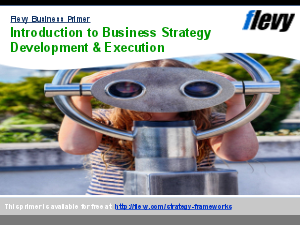 This training fits well into any improvement initiative, including TQM and Lean management. The COQ methodology instills a practical approach to quantifying the financial impact of the Cost Of Non-Conformance (CONC) and the Cost Of Conformance (COC). The COQ calculation methods are also used in quantifying the impact of Lean Six Sigma programs. By teaching this presentation, you can improve the company culture and improve the bottom line. This presentation changes employees problem solving focus from quick fix solutions to preventing issues before they occur. This course teaches the skills to prioritize quality improvement opportunities based on the expected financial return. - Why are quality costs important? 33-slide PowerPoint deck. This document discusses various cost reduction methodologies and concepts, including the following: Process Optimization, Strategic Sourcing, Shared Services, Business Process Outsourcing. Cost Reduction Assessment? Quality Management & Assurance? Cost of Quality? Or something else.